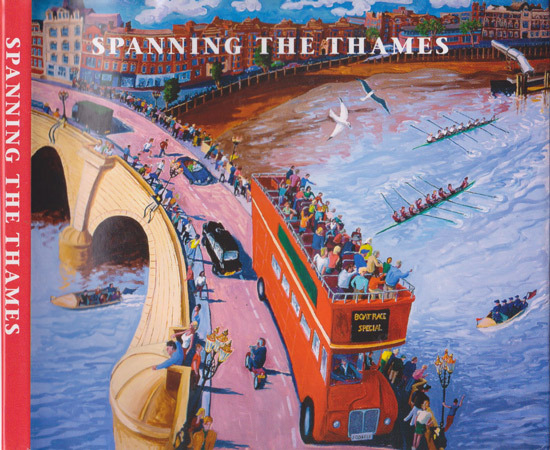 I've recently created a new website - The Best Art Books about London and the River Thames - which was prompted by review of the book Spanning the Thames: The River and Surrounding from the Barrier to Teddington Lock - see Book Review: Spanning the Thames. It made me ponder on how many good books there are about artists who have painted London and I decided to try and assemble them all in once place. Plus books about the paintings, drawings and fine art prints produced of places in London by artists from the past such as Canaletto, Monet, Whistler and Dore. It also includes a lot of artwork related to transport in London. There has always been a very strong association between good graphic art and its use on the London Underground, in stations and on posters around the capital. I've not yet finished adding books to this website but this seems like a good start. I've got the Camden Town Group on my "to do" group and am happy for people to suggest other artists whose artwork about London and the Thames should also be on this website. I am also planning a guide to the guide books about seeing art in London! 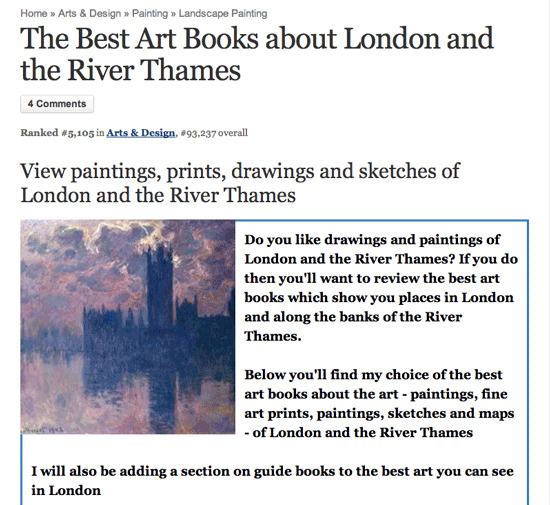 Reading Spanning the Thames: The River and Surrounding from the Barrier to Teddington Lock prompted me to think about the number of books there are about the Thames or reference art and artists who have painted the Thames which led to a new website - of which more in the next post! Synopsis: This is a book about the tidal Thames - in paintings, drawings, prints, stories and historical anecdotes. Twenty five artists were commissioned to illustrate their favourite bridges and buildings along the Thames and this book is the result. These are accompanied by a story or historical commentary by Michael Harrison The title is of course a pun on the topic of bridges! Summary review and recommendation: This is a small book for a small niche market. Those who buy it are very likely to enjoy it a lot - although I'm not sure it will ever find a large audience. I enjoyed both the artwork and the history stories and the background information about the different bridges and buildings along the tidal Thames. You think you know something - and then you see it in a completely new light and learn something brand new! the diversity in the artwork produced for this project. Francis Farmar - A Boat Race, Putney. - Francis paints places. Do take a look at his website it's delightful - link is in his name. Frank Kiely - The Globe - It's been a pleasure to watch this Irish artist work his way around London over the last few years - recording the buildings and the Thames as he went!